19.15mm x 9.27mm / 0.754in. x 0.365in. Nurses Cap Charm by Rembrandt Charms. The Length is 1 1/8 of an inch. For that special caregiver, our three-dimensional Nurses Cap Charm is the perfect way to thank her for her role in the medical field. The Nurse charm can be placed on a necklace or will be a wonderful addition to a Charm Bracelet. 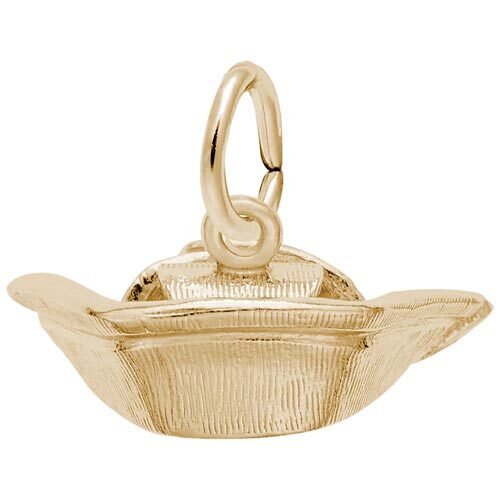 All Rembrandt Charms are available in either silver or gold.